Dubai, UAE, April 17, 2018: Mido is bringing the past into the present with the new Multifort Datometer. 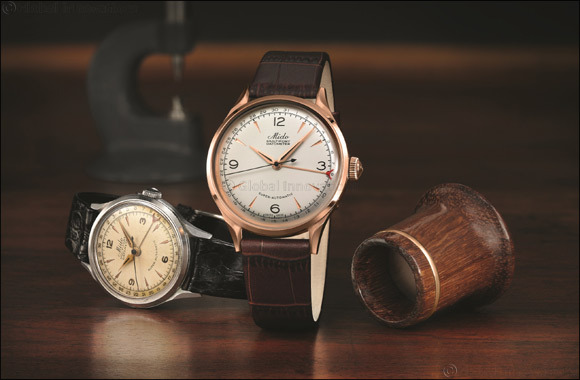 The brand is celebrating its 100th anniversary by revisiting one of its flagship models, first launched in 1939. The 2018 version borrows the original's essential features while bringing it firmly up to date. Endowed with a superb polished and satin-finished steel case with rose PVD treatment, the Multifort Datometer reveals a silvered, finely sandblasted dial, decorated with black transfers, recreating the 1939 design almost identically.